Learn more about our summer fun and all the new things going on at Workshop! Summer Fun at Workshop Houston! 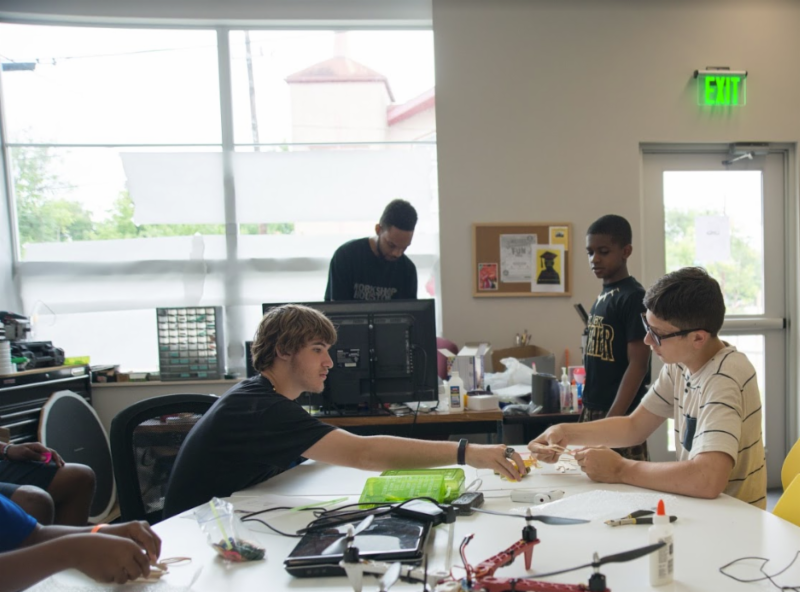 This summer, Workshop Houston planted a seed for summer fun in the Third Ward! This wasn't our first summer offering eight weeks of dynamic programming, weekly showcases, and field trips, but this year we had a tremendous growth spurt. Our weekly 'Turn Up Thursday' gave our Beat Shop students a chance to show off their new sounds, while our Dance Shop students demonstrated their latest choreography. The 4th of July Fashion Show showcased the red, white, and blue designs of our Style Shop students, and our Scholar Shop students eagerly anticipated the final launch of their beloved, new-and-improved ' Potato Launcher' It's been a great summer - and our students really bloomed. Chris practices shooting on the Discovery Shop Basketball Hoop. 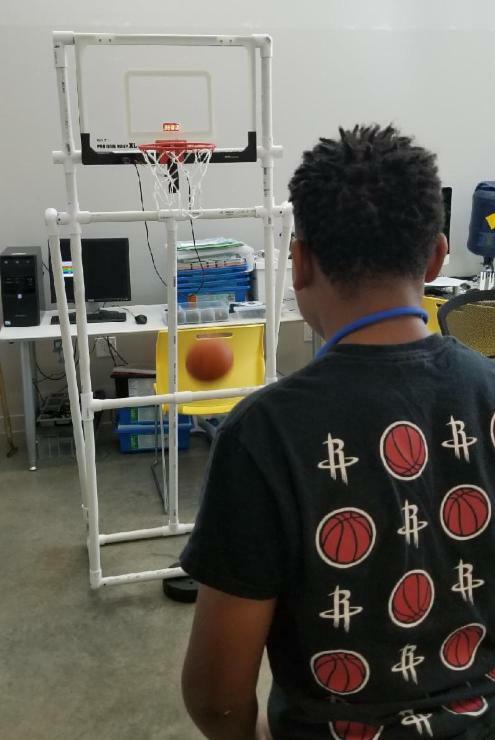 Designed by Discovery Shop students, the Hoop keeps score on a digital screen, using motion sensors. Caleb refines his stitches on a practice sheet. 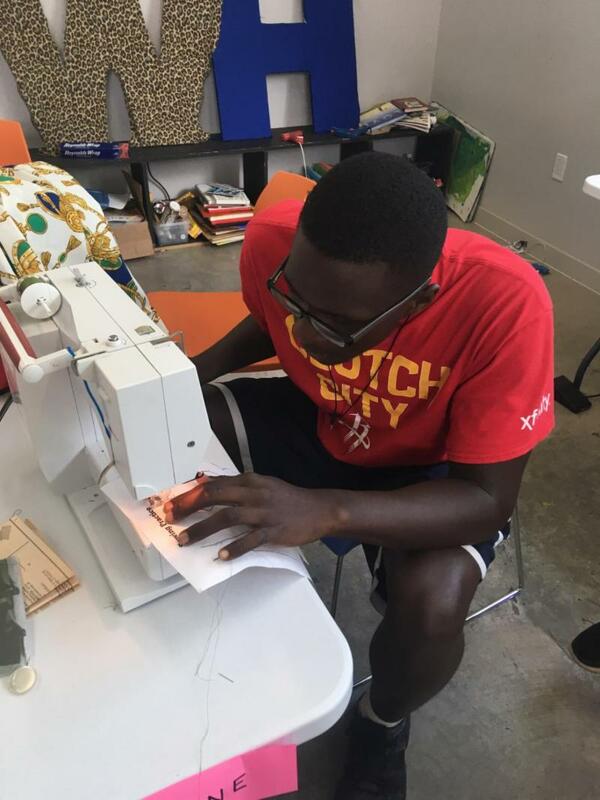 This Summer, Caleb learned to use and maintain his sewing machine, how to create pillows and drawstring backpacks, and how to craft beaded keychains in the Style Shop. The summer program culminated in a group field trip to Six Flags: Fiesta Texas in San Antonio. Students who attended regularly, completed projects, and were consistently team players were invited to join. A HUGE thank you to the parents, volunteers, and staff who made this trip possible! 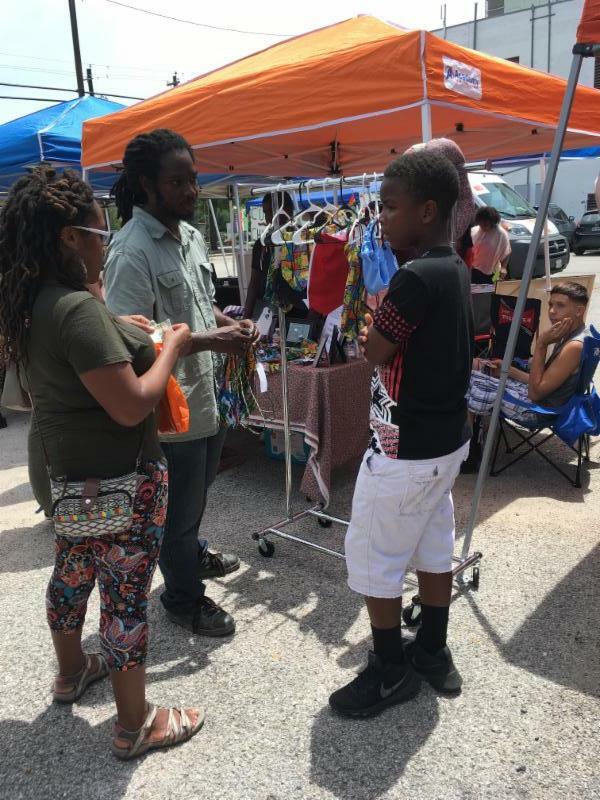 The Third Ward has welcomed a new monthly market, hosted by the Emancipation Economic Development Committee. 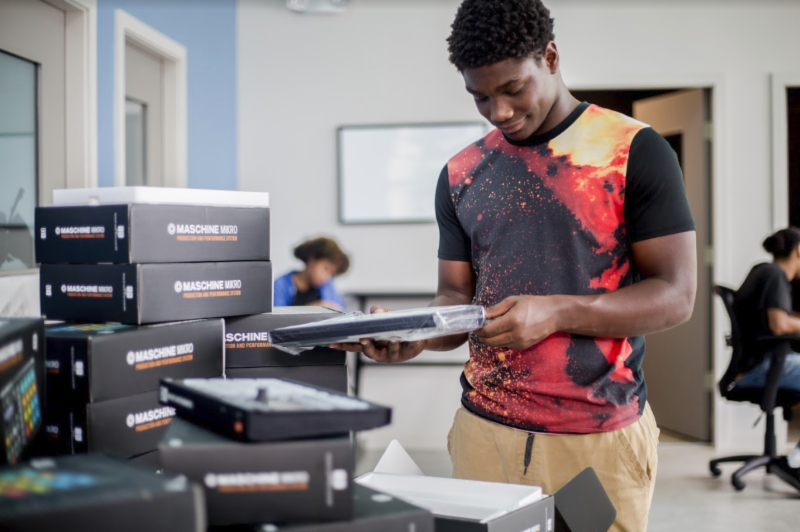 At the July pilot event, Workshop Houston students were invited to celebrate their community, learn entrepreneurial skills, and entertain the crowd with their dance moves. Style Shop students hosted a booth selling their handmade goods, including beaded key-chains and drawstring backpacks, and learned about the art of the sell. Our Dance Shop students performed a stellar medley of their summer routines, featuring many different styles like Contemporary Dance and African Beats. Free Market Square on October 20th - join us! Held monthly on the 3rd Saturday from 10am – 4pm at 2301 Elgin St, 77004. 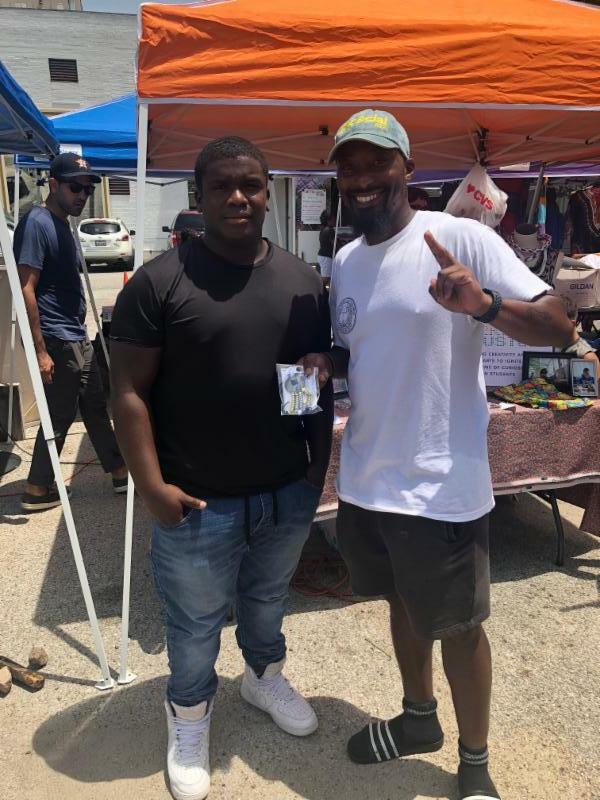 Rayvon worked in the Style Shop designing and crafting beaded key chains. ﻿Here he is with a happy customer! Everyday the lives of our students are impacted by the generosity of our supporters. Executive Director, Jaime Herrero, with HP representatives Cole Terry and Heather McNary. 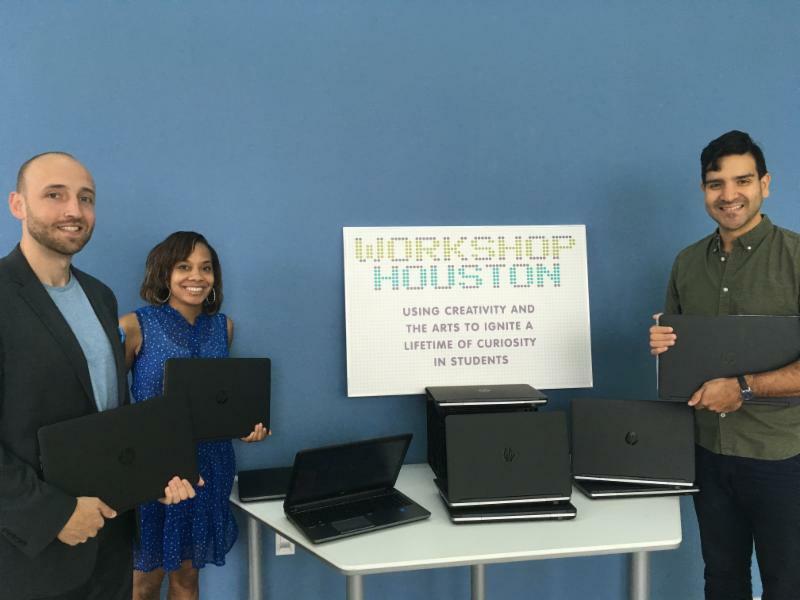 HP donated 10 laptops for the Beat Shop students to use in learning more about audio engineering. Discovery Shop students worked hard this Summer on robotics, thanks to the Social Motion Skills for donating over 10,000 lego pieces!! Chris admires the new set of top of the line drum machines, Maschine MIKROS, donated to the Beat Shop by Native Instruments . Visit our website to support us and see a full list of donors. You will get a chance to view the campus, see the students at work in the Discovery Shop, Style Shop, and Beat Shop, and discuss volunteer opportunities for the 2018/2019 year. Please RSVP for the event by emailing your name and interest in attending to volunteer@workshophouston.org. Can't make the informational? No problem! We will have future informational meetings - stay tuned! 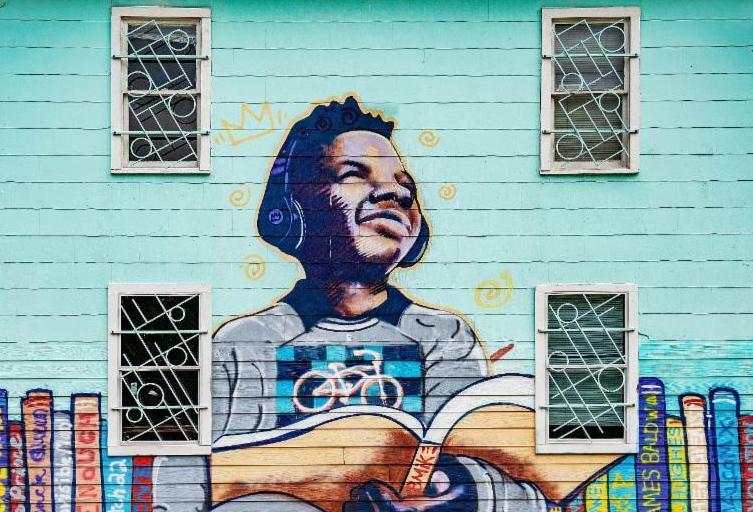 You can help Workshop Houston students cultivate their creativity with just a few clicks. Purchase gifts from Amazon to help us keep our Shops well-stocked.